On the day we went to Alton Mill Arts Centre, I provided you with the following handout (see below) that provided some generic tips on how to prepare for a gallery review. These were to help you with taking notes of your impressions of the gallery on the day and are NOT to be followed for the finished written Gallery Review. If you did not attend this trip, it is expected that you will visit a gallery on your own time. If you are going to a very large gallery (e.g. the AGO), please choose only one section / room to write about. - margins no larger than 1"
Each paragraph will be marked holistically out of 5. The overall assignment is worth 20 communication marks. Paragraph 1: Tell the reader which Gallery / Art Centre you visited and explain the purpose or mandate of this gallery or institution. 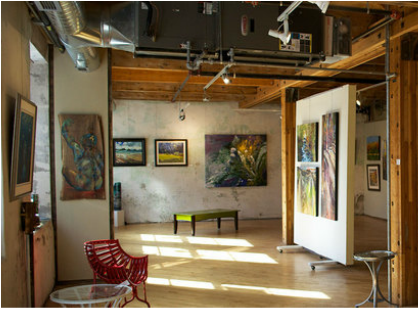 Provide a description of the specific room / exhibit / gallery space that you are choosing to review. Discuss you overall impressions of the exhibition. What caught your interest? How is the space set up to highlight the artwork that can be found there? Paragraph 2: Get more detailed - what artist(s) were featured in this gallery space / exhibition areas? What did you find interesting or compelling about their work overall? Provide background information about the artist(s) you are focusing on which has been found either at the gallery or online. How does this information help to explain the style or subject matter this artist features in their work? Paragraph 3: Focus in on ONE specific artwork that you particularly enjoyed (include a photo if you can, otherwise provide a clear description of the work). How has the artist used elements and principles of design to create an effective piece? What do you think this art piece is about? ​Paragraph 4: Overall, summarize your impressions of the exhibit and what you came away thinking or feeling from this exhibition. Would you recommend this exhibition to others? Who would most enjoy viewing this artwork?